More than just vitamin C, our formulation contains vitamin C along with a number of synergistic plant compounds, such as citrus bioflavonoids, hesperidin, rutin, and quercetin. 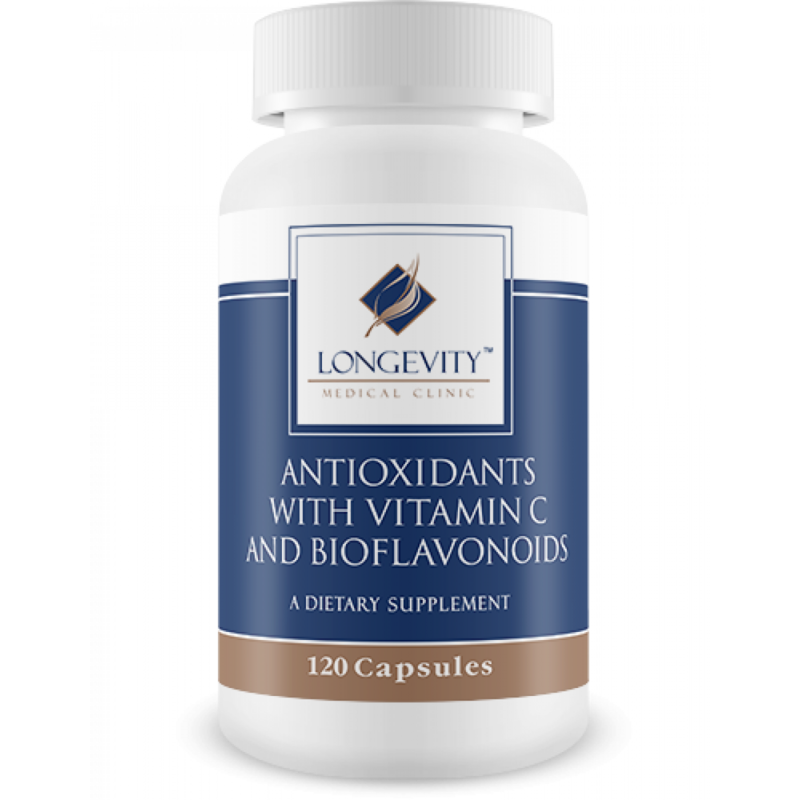 These plant compounds, known as bioflavonoids, help support the immune system. Vitamin C is a water-soluble vitamin also vital for immune function and for producing collagen, a structural protein connective tissue. The body requires vitamin C to form and maintain blood vessels, bone, and skin, metabolize amino acids, and synthesize hormones. These statements have not been evaluated by the Food and Drug Adinistration. This product is not intended to diagnose, treat, cure or prevent any disease. 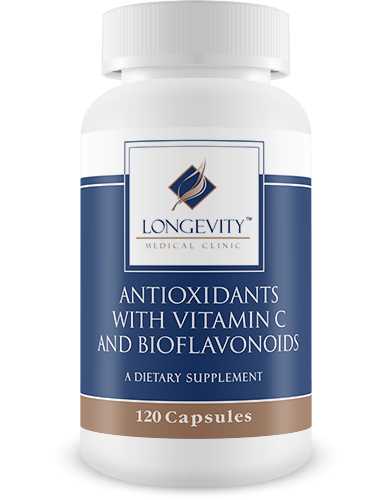 Would you like to save even more with automatic re-orders of Antioxidants With Vitamin C and Bioflavonoids? 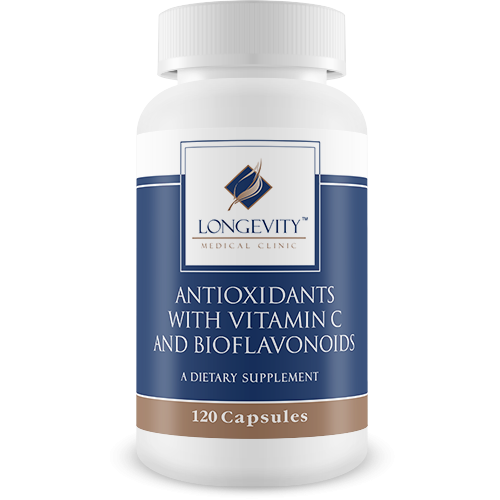 Save 10% with automatic re-orders of Antioxidants w/Vitamin C and Bioflavonoids every two months. More than just vitamin C, our formulation contains vitamin C along with a number of synergistic plant compounds, such as citrus bioflavonoids, hesperidin, rutin, and quercetin. These plant compounds, known as bioflavonoids, help support the immune system. Vitamin C is a water-soluble vitamin also vital for immune function and for producing collagen, a structural protein connective tissue. The body requires vitamin C to form and maintain blood vessels, bone, and skin, metabolize amino acids, and synthesize hormones. These statements have not been evaluated by the Food and Drug Adinistration. This product is not intended to diagnose, treat, cure or prevent any disease. Ingredients: Vitamin C (as Calcium & Magnesium Ascorbate)....235mg Calcium (as ascorbate)....20mg Magnesium (as ascorbate)....16mg Quercetin....85mg Bioflavonoids....75mg Hesperidin....45mg Rutin....75mg Resveratrol....2.5mg Superoxide Dismutase....50mcg Catalase....50FCC Units Green Tea Leaf....25mg Other Ingredients: Rice Powder, Silicon Dioxide.